Supplies: Stamps – Hero Arts, paper – DCWV No Prob Llama, Neenah Classic Crest Solar White, Papertrey Ink Vintage Cream, Stampin’ Up! Sage Shadow (retired), ink – VersaFine Onyx Black, dies – Lawn Fawn (tag), Stampin’ Up! (ornament), Taylored Expressions (rounded top tag), embossing powder – Filigree Fine Art Powder clear, metallic cord – Paper Mart. Categories: gift tag, holiday | Tags: DCWV, gift tag, Hero Arts, Lawn Fawn, Neenah, No Prob Llama, Paper Mart, Papertrey Ink, Stampin' Up!, Taylored Expressions, Tsukineko, VersaFine | Permalink. So…how many of you remember your Spanish I class? That magenta foil just makes me happy! 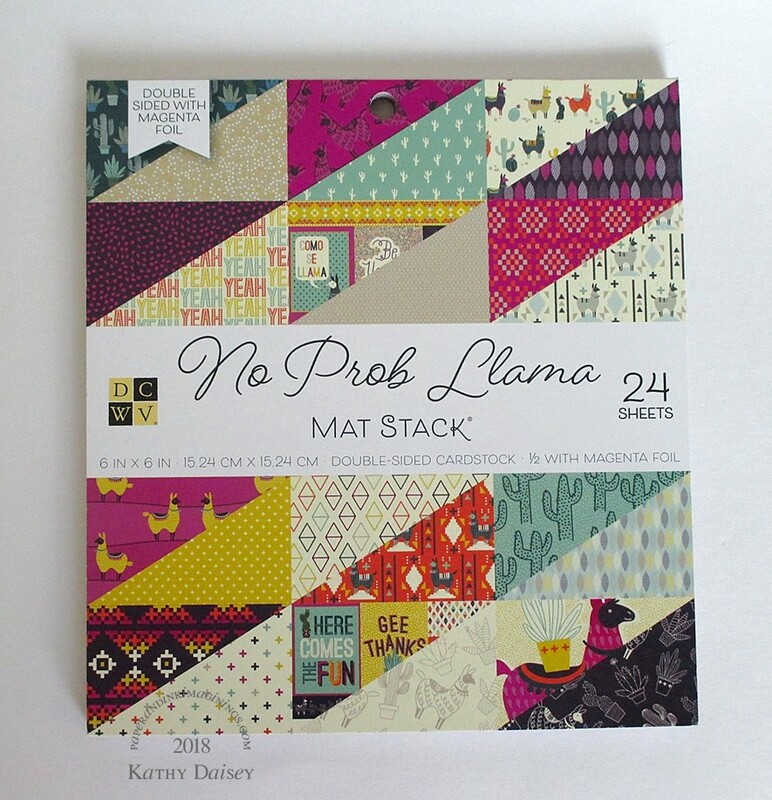 Supplies: paper – DCVW No Prob Llama, Neenah Classic Crest Solar White, Stampin’ Up! Pool Party, die – Taylored Expressions, corner rounder – We R Memory Keepers (on the Envelope Punch Board). Categories: card, encouragement, hello, note | Tags: card, DCWV, Neenah, Stampin' Up!, Taylored Expressions, We R Memory Keepers | Permalink. Sorry for the wonky photo – I was trying to get the magenta foiling to show in the photo, and it was a rainy day here (and no time to set up my photo lights). 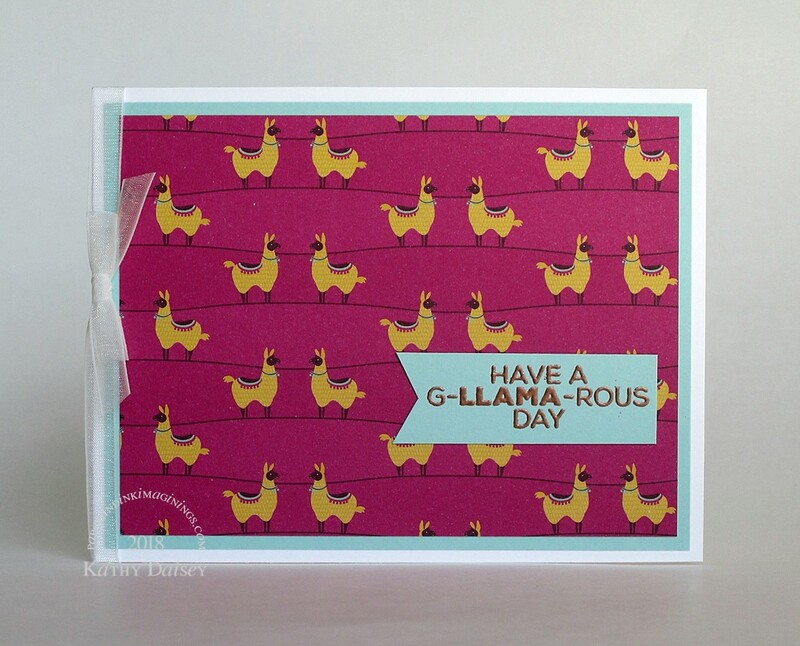 This paper is from the DCVW No Prob Llama paper pad. Supplies: Stamp – Hero Arts, paper – DCWV No Prob Llama, Neenah Classic Crest Solar White, Desert Storm, ink – VersaFine Onyx Black, die – Lawn Fawn, embossing powder – Stampendous Detail clear. Categories: card, encouragement, I love you | Tags: card, DCWV, Hero Arts, Lawn Fawn, Neenah, Stampendous, Tsukineko, VersaFine | Permalink. This paper is from the DCVW pad from yesterday. 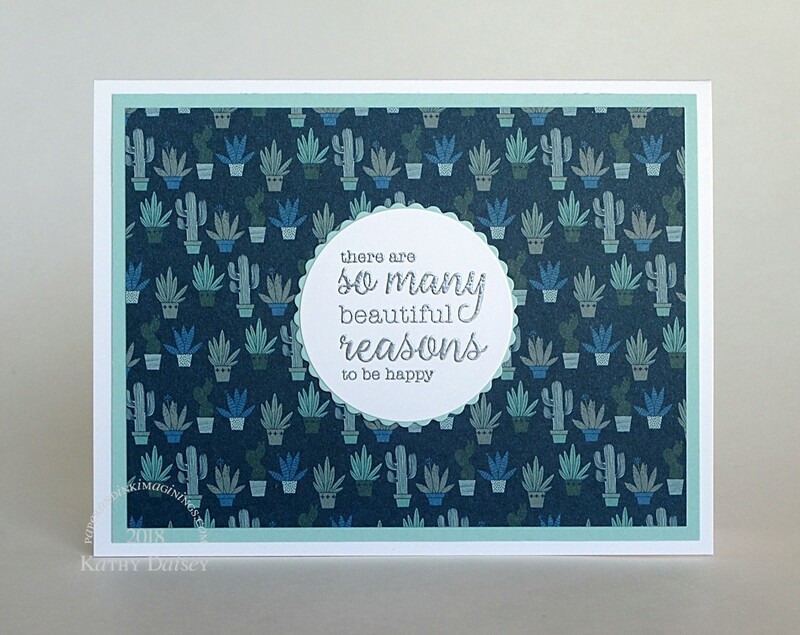 I love the blues and teals, I think it looks like a night time desert scene (knowing that the cacti would not actually be in pots in the desert!). Disclaimer: I have never been to the desert at night, my visual imagination may be WRONG. Supplies: Stamp – Simon Says Stamp, paper – DCWV No Prob LLama, Neenah Classic Crest Solar White, Stampin’ Up! Pool Party, ink – VersaFine Onyx Black, dies – Spellbinders, embossing powder – Ranger Silver Pearl. Categories: card, caring, encouragement | Tags: card, DCWV, Neenah, Ranger, Simon Says Stamp, Stampin' Up!, Tsukineko, VersaFine | Permalink. 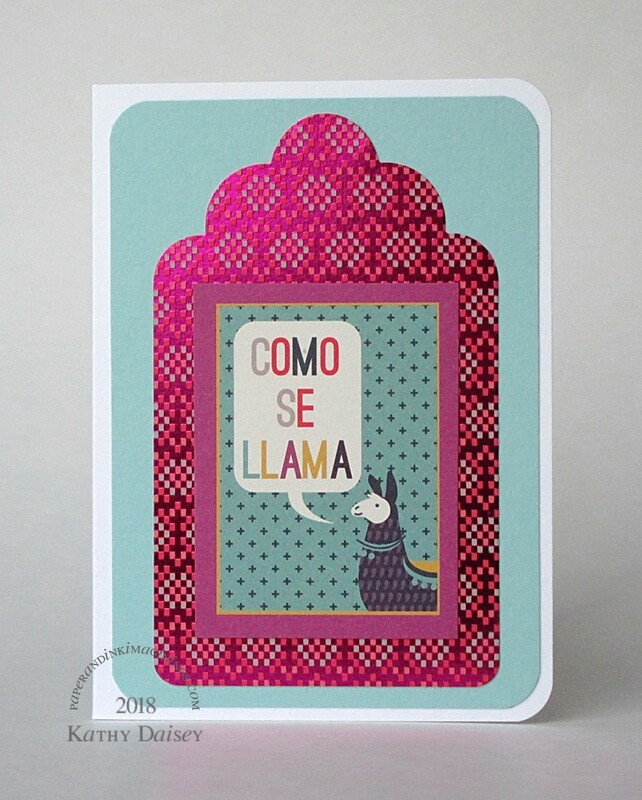 LLamas on a magenta background?? YES, PLEASE! Offspring3 went birthday shopping for me (with some additional funding from Offspring1), and she found this Die Cuts With A View (DCWV) pad that has llamas AND magenta foil. Who knew this existed??? 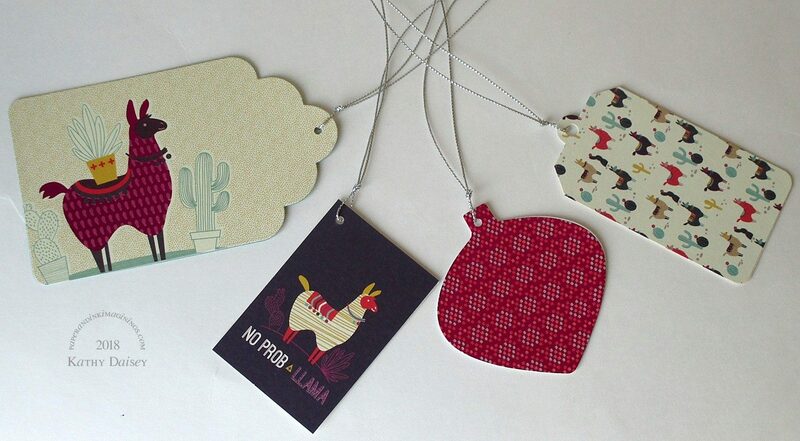 Supplies: Stamp – My Favorite Things, paper – DCWV No Prob Llama, Neenah Classic Crest Solar White, Stampin’ Up! Pool Party, ink – VersaMark, embossing powder – Stampin’ Up! 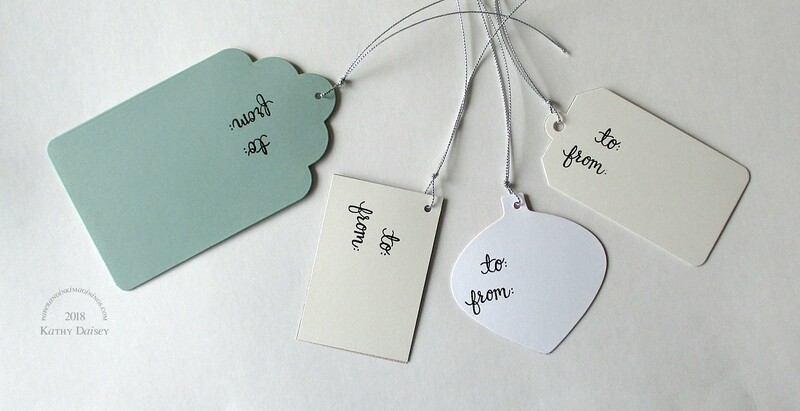 Classy Copper, organdy ribbon – Offray. 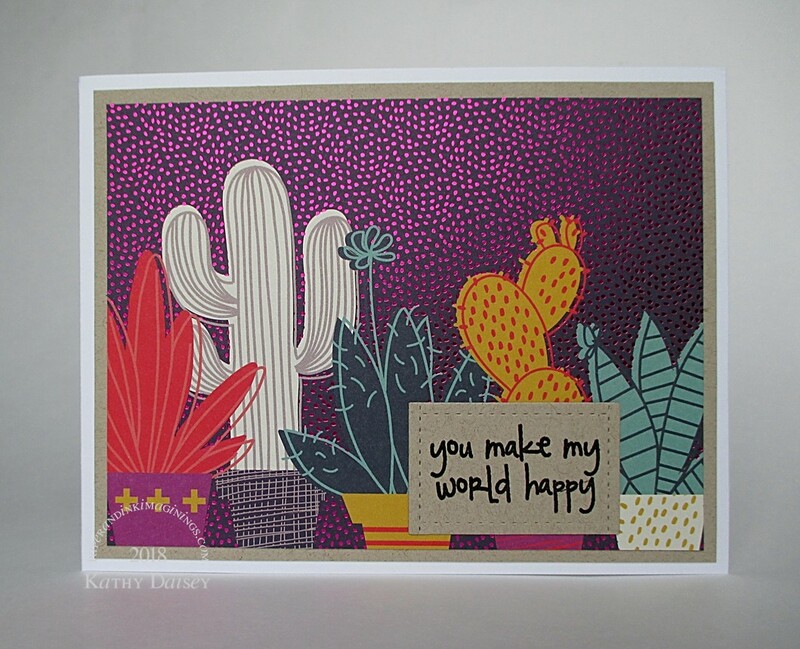 Categories: card, caring, encouragement | Tags: card, DCWV, My Favorite Things, Neenah, Offray, Stampin' Up!, Tsukineko, VersaMark | Permalink.